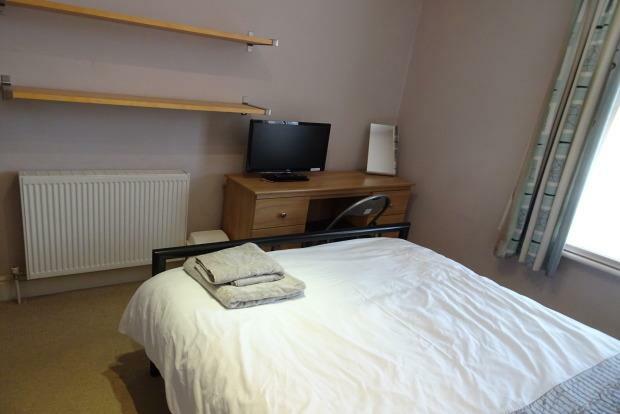 1 Bedroom Apartment To Rent in Rugby for £420 per Calendar Month. This property benefits from a private garden and a 5 minutes walk to town centre and railway station on quiet street by the park. The room is superbly furnished with a quality double bed (for single occupancy) with pocket sprung mattress, bed linen and towels, mirrored wardrobe with drawers, easy chair and desk with chair. This property has a shared bathroom which is shared between 2 rooms. There is a lockable fire door with key and a turn knob inside. The house has gas central heating with thermostatic radiators which have valve controls. This house is an attractive Victorian terraced property situated 4 minutes from Rugby city centre and the railway station. On-street parking and a lovely garden with a security gate, garden furniture. Downstairs there is a lounge with sofa, Breakfast bar, large TV. The quality kitchen has cooker, two fridges/freezers, microwave, two washer/dryers and ample storage cupboards. The property has unlimited Wi-Fi broadband (cost included in rent).